These are part of a series of poems which came out of a trip I made with my husband to this beautiful city on the Dalmatian coast. 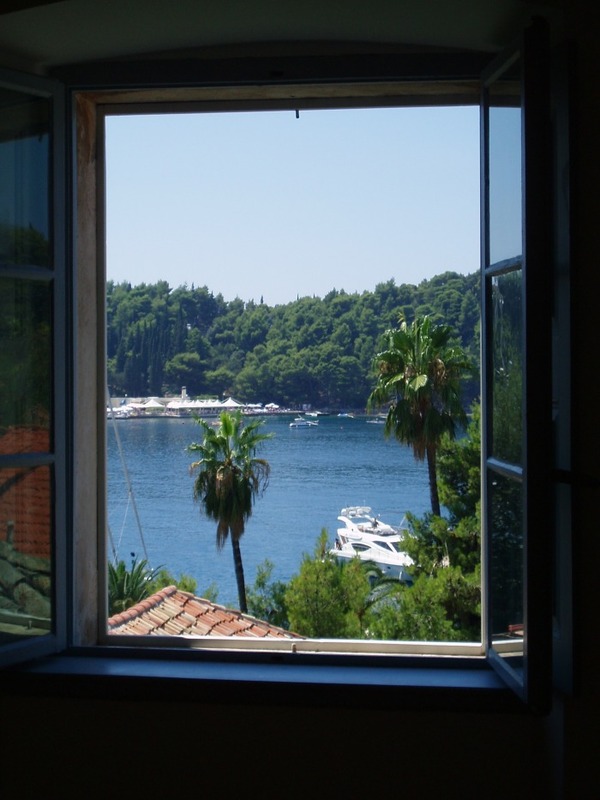 On the left you can see the view from the atelier window of Vlaho Bukovac's house in Cavtat (click on picture to enlarge). cupboards groaning with our double share. each valley’s head-dress marking its own. others’ ritual, song, dance, belonging. sweetness in its measured place. for those departed, or not yet arrived. As part of its defensive strategy … Dubrovnik had numerous granaries around town, capable of holding enough food to withstand a serious siege. The last-remaining one of these is now the Rupe Museum, and you can see some of the vast chambers that were dug into the rock to store grain back in the 16th century. where black smoke billows into a cloudless sky. from the yellow strap, teetering over him. attention to convey her deep thankfulness. while his wife folds her arms.